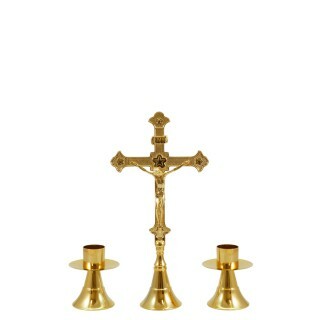 Altar set made of 24k gold plated brassArt. 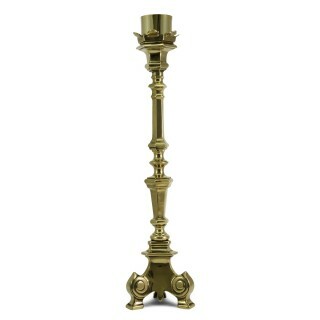 F130024k gold plated Candlestick h. 8 cm.Art. 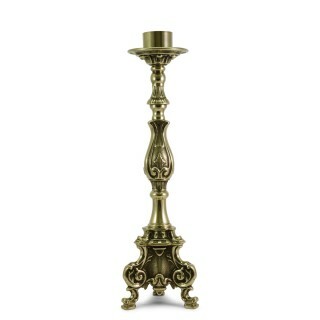 F1300..
Candlestick made of polished brassAvailable in different sizes:Art. F1058h. 22 cm.Art. F1059h. 31 cm..
Art. 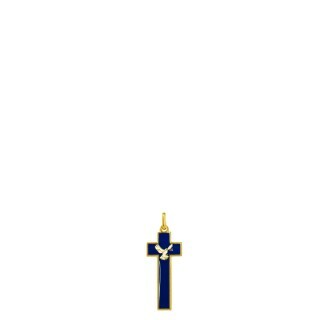 V3000-FEnameled CrossSize: 5 x 2,2 cm. .. Altar set made of silvertone brassArt. F1301Silvertone Candlestick h. 8 cm.Art. F1301 CSilverto..
Candlestick made of polished brassAvailable in different sizes:Art. F1041h. 25 cm.Art. F1042h. 30 cm.. 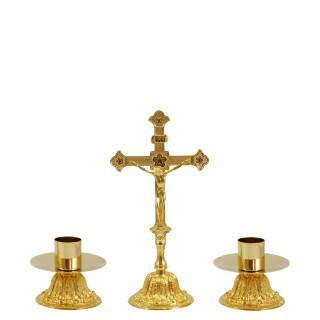 Altar set made of 24k gold plated brassArt. 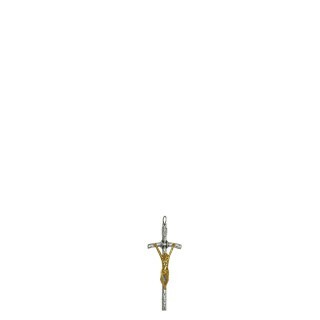 F140024k gold plated Candlestick h. 6,5 cm.Art. F14.. Altar set made of silvertone brassArt. F1401Silvertone Candlestick h. 6,5 cm.Art. F1401 CSilver.. 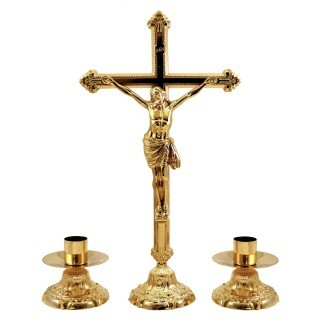 Altar set made of 24k gold plated brassArt. F49224k gold plated Candlestick h. 9,5 cm.Art. F492.. 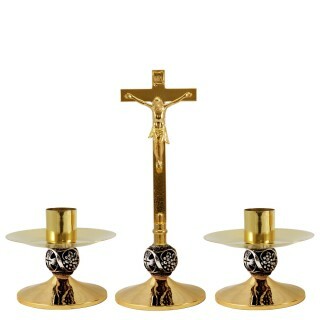 Altar set made of 24k gold plated brassArt. F1600Candlestick made of 24k gold plated brass h. 9.. 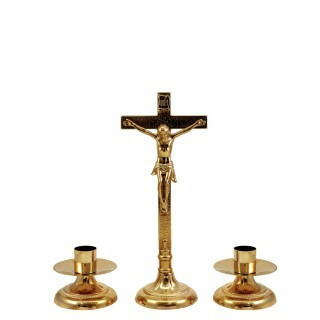 Altar set made of 24k gold plated brassArt. F1700Candlestick made of 24k gold plated brass h. 8.. 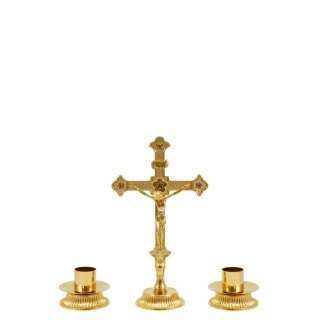 Altar set made of 24k gold plated brassArt. F1800Candlestick made of 24k gold plated brass h. 1.. Altar set made of 24k gold plated brassArt. 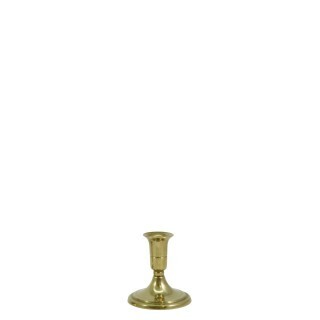 F1500Candlestick made of 24k gold plated brass h. 6.. 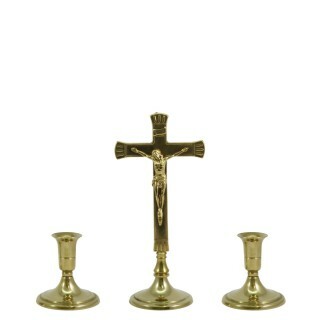 Altar set made of polished brassArt. F889Candlestick made of polished brassh. 9 cm.Art. F889CCross w..